Who can sign a pathology report? 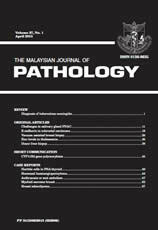 Is pathology a clinical service? Do we need a profession-driven quality assurance scheme?